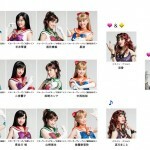 This entry was posted in Merchandise and tagged Chibiusa, Cosmic Heart Compact, Cyprine, Deep Aqua Mirror, Eudial, Garnet Orb, Garnet Rod, King Endymion, Mistress 9, Monopoly, Neo Queen Serenity, Professor Tomoe, Ptilol, Sailor Jupiter, Sailor Mars, Sailor Mercury, Sailor Moon, Sailor Moon S, Sailor Neptune, Sailor Pluto, Sailor Saturn, Sailor Uranus, Sailor Venus, Silence Glaive, Space Sword, Spiral Heart Moon Rod, Tabletop Games, Tellu, Tuxedo Mask, Viluy, Witches 5 by Adam. Bookmark the permalink. This almost makes me want to check out Monopoly again. Almost. 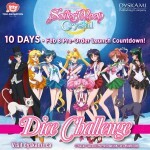 Maybe the $500 is Super Sailor Moon?? But this is really cool! The photo seems to be the same one that’s on her property on the board which isn’t her super version. 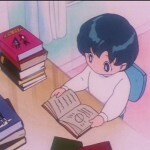 Not sure. I don’t see it listed on Amazon Canada or EB Games. That may change closer to the release date though. I’ve had a lot of issues buying board games from US sites in the past so I don’t know if that will be an option for this. 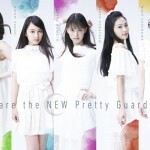 I bought it from Sunrise Records yesterday. It was originally $55, plus 35% off because of their Spring Clearance event! So I paid $40 and some odd change after tax! I’m so getting this! 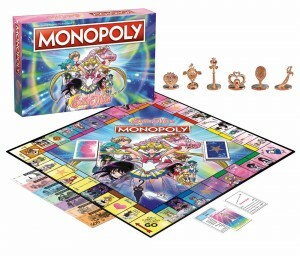 My friends tried to convert me to Catan for a while, but I don’t care if what I’m about to say stomps on their Catan-or-bust toes: I want Sailor Moon Monopoly! 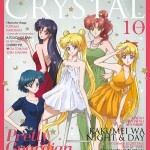 “Settlers of Crystal Tokyo” where you build Dark Henges at Crystal points on a board in order to take over the future. Now that would most certainly get me to try and fall in love with Catan once more! 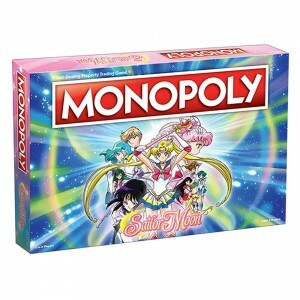 As a big fan of Sailor Moon and Monopoly, I want to get that. Also, what should be the houses and the hotels?